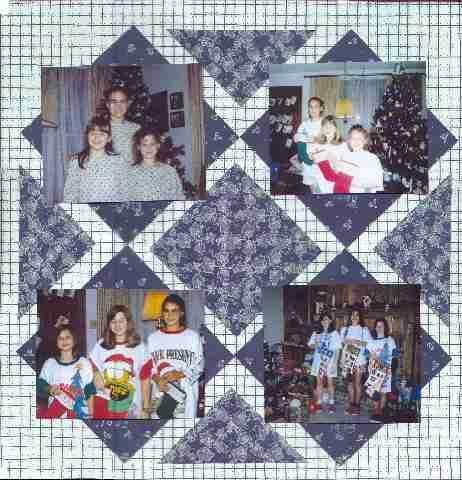 This is one page in a quilt-themed book that I made for my mom with pictures through the years of matching outfits she made for her granddaughters. This page is in the Christmas section with matching pajamas. I got many layout ideas from Scrap Wiz's baby quilt book here at LOC. Also from the Graceful Bee site.